The circular clock comes in expressive colors with the simple dial in the middle. High quality marble is used in this. The dial is circular Read More..in shape surrounded by a diamond pattern outside. 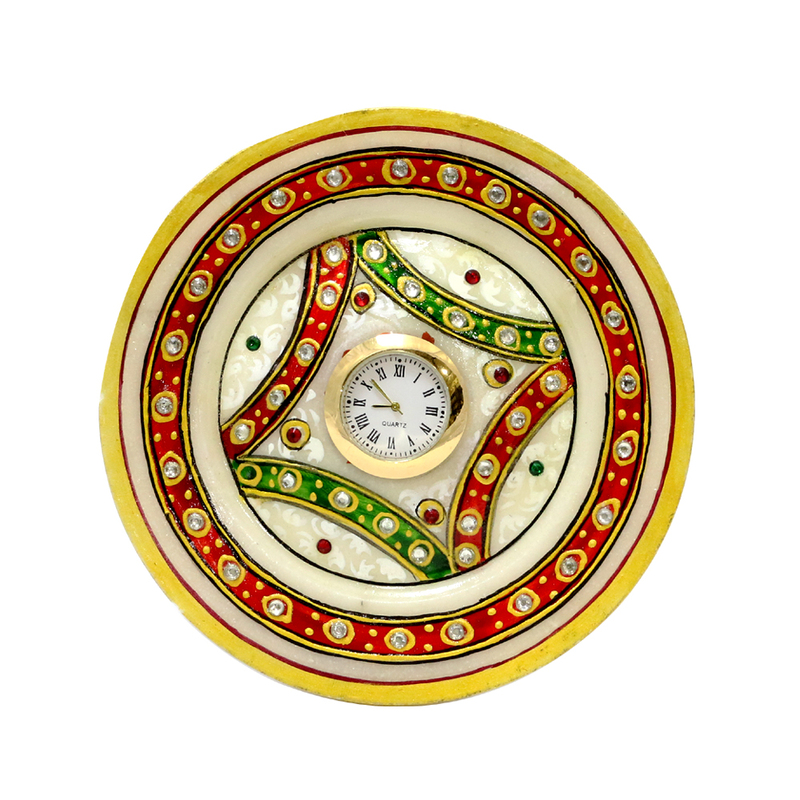 The dial is bordered with a golden lining and the entire piece is beautified with authentic meenakari work. This 100% handmade handicraft will surely catch the attention of all your guests. this simple clock will make a great gift for different occasions. Show Less..